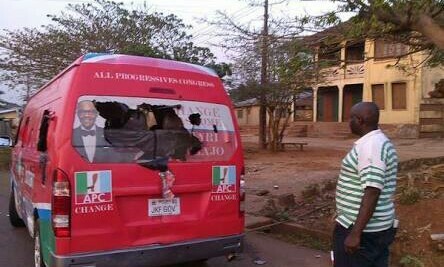 (APC) in Enugu state, Dr. Ben Nwoye after gunmen stormed his home to assassinate him. Nwoye escaped death by whiskers in the early hours of Saturday, as heavily armed suspected assassins invaded his house. It was gathered that the hoodlums, who gained entrance into the compound at about 2:15am, shot one of the police officers attached to him, Mr. Gerald Eke, on the head, and took away his official riffle. The officer, who hails from Nsukka, Enugu state, is currently on admission at the Federal Orthopedic Hospital Enugu.